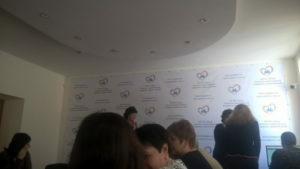 RusProfiling Lab member took part in The 6th International Conference on Analysis of Images, Social networks and Texts (AIST 2017, http://aistconf.org/2017/en) with report “Author Gender Prediction in Russian Social Media Texts”. May 16, 2017. Litvinova T. took part in the 7th Annual Regional Conference “Current Problems of Designing a Safe Space for Children: Family, School, Internet” that was organized by the Department of Education, Science and Youth Policies of Voronezh region in collaboration with State Budget Institution of Voronezh region “Centre for Psychological and Educational Support and Development of Children” as part of the regional campaign “Let us Protect Children from Abuse” and celebration of the International Day of the Child Abuse Hotline. 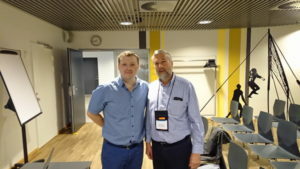 Members of the Laboratory staff took part in one of the most well-known and distinguished conferences in computer linguistics – 15th The European Chapter of the Association for Computational Linguistics Conference (EACL-2017), that was held in Valencia, Spain, from April 3 to April 7, 2017.